Private and Secluded Colonial on 101+ acres, good for hunters and hikers!! This lovely home features a large living room, country kitchen, dining room, big family room, three bedrooms, 1.5 baths, laundry, plus a full unfinished basement and an attached 2 car garage. 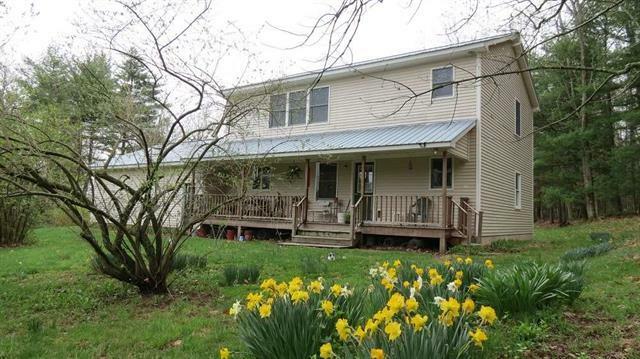 Enjoy the peace and quiet while you sit on the rocking chair rear porch and watch the animals play! This 101+ acres is level to gently sloping, nice veggie garden, some fruit trees, mature trees, small stream, a lot of road frontage and borders the Ten Mile River Boy Scout property. This move in ready home is just waiting for you!